Every transfer window, business of millions and millions of dollars takes place across the world in buying and selling the players. These transfers are calculated risks, future prospects, some transfers are done to save a club, and some are the “top player” signings in which you know that your investment in the player will definitely pay off. Signing a player requires days of negotiations between clubs, sometimes turning these transfers into a bidding process. A new signing reflects on the ambition of the club, their future plans and definitely their brand value. Hence, a lot of hard-working guys work year around, scouting the players, negotiating with their innumerable agents, negotiating with the clubs to get in the players who would make an impact on the club. Yet, even after all these endless negotiations and money and the highly paid scouts’ opinions, every club in the footballing world has those signings which just never click. These players are sometimes declared future prospects, established players at international or club level and sometimes even well accomplished virtuosos destined to shine for their new club, but they never actually do. The following are, in my opinion, the worst transfers (in no particular order) which didn’t live up to the expectations. When Scolari was unable to get him to Chelsea, I, as a Chelsea supporter, was particularly sad that we lost out on a world-class player. Even his desire was such that upon signing for Man City, he accidentally stated “On the last day, Chelsea made a great proposal and I accepted.” When the reporter corrected him: “You mean Manchester, right?” “Yeah, Manchester, sorry!” Robinho answered. He finished as Man City’s top scorer in his first season with 14 goals and even wore the captain’s armband in a match. But that was as far as it went. He was loaned eventually to Santos in the January of 2010, and later sold to Milan in 2010 August. Robinho’s was a transfer certainly not worth the £32,500,000 that Man City paid for him. “Verón is a f****** great player. And you’re all f****** idiots.” These words from Sir Alex were more out of frustration due to his failure rather than the real truth I guess. £28 million, the most expensive transfer in English football of that time, went to waste as Veron never lived up to the buzz that surrounded him. Winning a treble with Lazio in 2000, Man Utd obviously had a lot of hopes from him but Veron was their most expensive failure. In 2003, Claudio Ranieri with his newly found riches thanks to Roman Abramovich, spent £15 million on buying Veron. SAF must have been the happiest person in the world, being given a chance for redemption, and even though Veron stated that he wanted to stay at Man Utd, SAF accepted the offer. 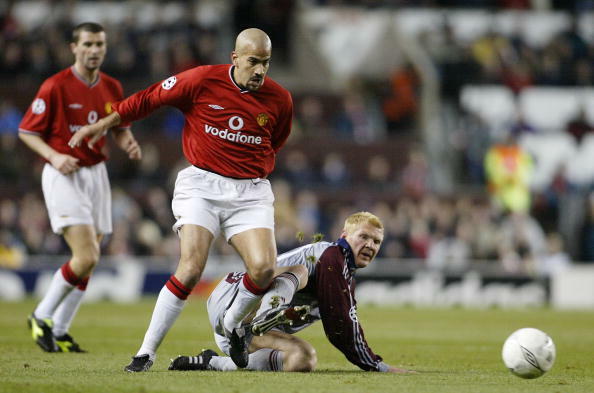 Veron lived up to his expectation of being a dud and was loaned to a number of clubs before being finally being transferred to Estudiantes de La Plata of Argentina. The golden boy to have never even bronzed – I guess this will be the best way to describe the Brazilian winger. In 1998, Real Betis singed him for £21.5 million, a world record at the time, but Denílson never showed the quality that Betis and the rest of the world expected from him. In his 2nd season, Betis were relegated from La Liga. He was loaned to Flamingo, Brazil that season. Coming back to Betis, he did help them achieve promotion, scoring 1 goal in 32 matches, but was nothing more than a fringe player in La Liga next season, and was eventually sold to Ligue1 club Bordeaux in 2005. On 28 May 2006, Shevchenko left AC Milan for Chelsea for £30.8 million, more than Michael Essien’s transfer fee from the previous year and also breaking the record for a player signed by an English club! Jose Mourinho, Chelsea’s then manager, made it clear to the press that Andriy was not his choice, but Roman’s (who would later bring in another high profile striker who still hasn’t shone for Chelsea). 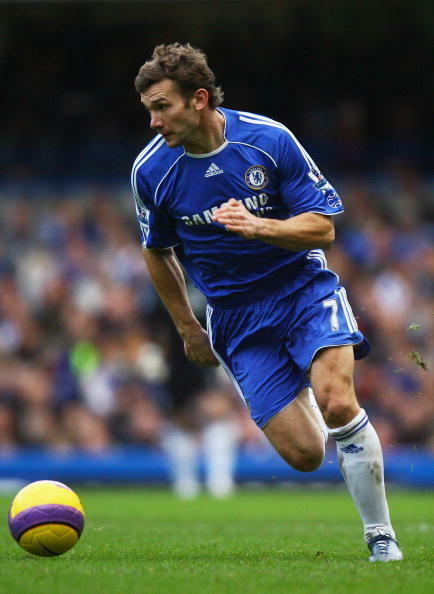 Shevchenko scored on his Chelsea’s debut in the Community Shield, which Chelsea lost to Liverpool. He did score some important goals in his first season but never really proved to be Chelsea’s talisman with Didier Drogba as his competition. Sheva scored only 22 in his 2 seasons for Chelsea, before being loaned back to Milan, and then finally released. Failing to get the best out of him is also citied as a reason for Mourinho leaving Chelsea. He cost Chelsea a staggering $2.3 million per goal! No list of failed transfers can be complete without mentioning this Zlatan Ibrahimovi? transfer. A crowd of 60,000 was present at the Nou Camp to welcome the star player. It was a transfer that finally cost Barca £57.27 million (including Hleb’s loan and Eto’o). 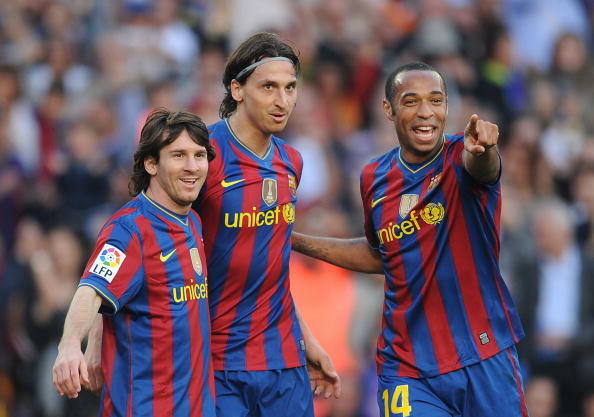 In 2009, Zlatan played only 29 matches for the Spanish giants, scoring a total of 16 goals. Zlatan certainly made an impact off the field for Barcelona who had to suffer huge losses due to this transfer. The fact that Eto’o, Barca’s most prolific striker at the time, was sold to get Zlatan made the transfer much worse than monetary losses. Zlatan in 2010 August revealed that he had a fall out with Pep Guardiola and was loaned to AC Milan the same month. Milan eventually activated the buy-out clause of Zlatan in his loan agreement and bought him for a fee much less than what Barcelona paid to Inter, where he did show his full class. Barca, hence, remains the only club which could not make full use of Zlatan’s talent.